I don't have the slightest idea about mushrooms so I am going to dare give names to these three species. According to pictures, the first ones on the left could be some variant of Tricholoma, in the middle and most attractive to the eye, Cantharellus tubaeformis or Cantharellus infundibuliformis aka Rossinyol in Catalonia and finally what seems to be Agaricus bisporus. But then again don't follow my word on this so as to go and collect some in the wild holding my image cause your life might be at risk. The photograph was taken last September at La Boqueria market. If there are boletaires (bolet is Catalan for mushroom and boletaire those who know about bolets) in the audience please help me with this one. This is just a recommendation of course for you to have fun with media. And while you are at it, how about more than 7000 mushroom recipes to browse for fresh ideas and maybe add that final touch to your Christmas table?. Delicious photo! So many things you could make with those mushrooms! But, are you SURE that they are all safe to eat?!?? This is a rich - even pungent - photo. I love to eat mushrooms, but have not hunted them in the wild. We even have some growing in our front yard with all this rain, and they may be just delicious...but I would be afraid to poison us! 7000 mushroom recipes is more than I can think of. I will select one or two and try them in 2010. Merry Christmas and Happy New Year to you and your wonderful family, Carlos! Very inviting photo! 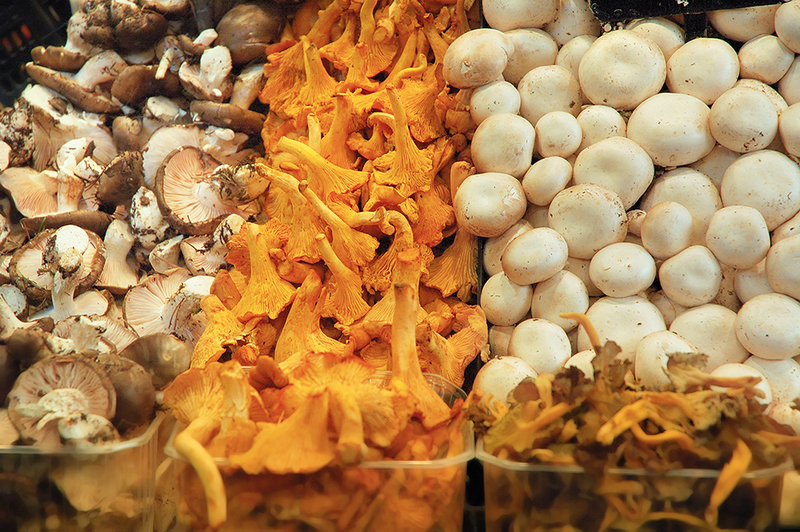 Cooking with mushrooms is a wonderful treat! What a great image! Really inviting and mushrooms are delicious.